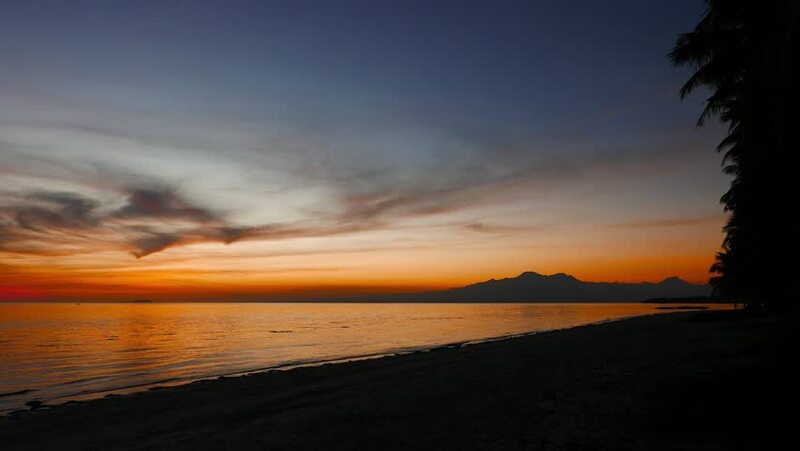 A colorful sunset video from Siquijor Island, with the silhouettes of the palm trees on the beach. Sun is already below the horizon. hd00:16taymlaps sunset painted the sky in red passing into darkness.